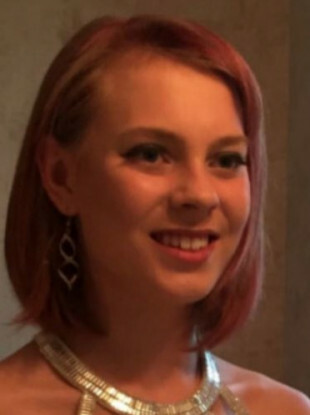 A 13-YEAR-OLD boy has been released pending trial for the murder of Kildare schoolgirl Ana Kriegel but has been ordered to comply with a bail supervision programme. The boy, who cannot be named because he is a minor, was the first to be charged with the murder of the 14-year-old girl at Glenwood House, Laraghcon, Clonee Road, Lucan on 14 May, contrary to common law. Her body was found at the disused farmhouse three days after she was reported missing. The teenage boy was charged and remanded in custody on 25 May last but on Monday bail terms were set in the High Court. It was taken up later this week and the teenager arrived on bail for his latest hearing at the Dublin Children’s Court today. He was accompanied by his father and his grandfather but did not address the court. A State solicitor told Judge Flann Brennan the Director of Public Prosecutions (DPP) has issued a direction under Section 52.4 of the 2001 Children Act confirming the case will proceed. The judge heard the DPP has consented and “has directed trial on indictment in respect of this charge” which means the case will be transferred to the Central Criminal Court once the book of evidence has been completed. Defence solicitor Donough Molloy told Judge Brennan there was consent to a four-week adjournment. However, Garda Inspector Mark O’Neill said the High Court had ordered the boy and his family to liaise with the Extern Ireland organisation with regard to bail issues. A youth worker from the agency has met the boy’s family already and was in court for the hearing. The social justice charity has been allowed to work alongside the juvenile justice system in providing a bail supervision scheme to ensure young people and their families are supported to help them comply with court orders. Inspector O’Neill proposed that the youth worker assigned to the case would provide an assessment for the next hearing at the Children’s Court on 30 August next. He acknowledged that in the High Court order there was no provision to have a report. Judge Brennan agreed to make the order after the defence solicitor said there was no objection to a report being furnished. Molloy said there was a requirement on his client to liaise with the bail support agency and “we are happy to do that”. The teen was then remanded on bail. The book of evidence was being drafted and would probably be ready in three or four weeks, the court had heard at an earlier hearing on 23 July last. Anastasia, known as Ana, who was adopted from Russia at the age of two, left her home in Leixlip, at about 5pm on 14 May, however, she did not return. Legal aid had been granted after the court was told the teen’s age and that he was a schoolchild. On 12 July last, a second 13-year-old boy, was also charged with the girl’s murder and he too was remanded to the Oberstown youth detention centre. He remains in custody, however, and is due to face his next hearing on 14 August next. At that boy’s first hearing, Detective Sergeant Damien Gannon said that teen “made no reply to the charge after caution”. There has been no indication yet as to how either of them intended to plead. The Children’s Court has issued a warning that any attempt to identify the pair on social media would result in prosecution. Email “Boy (13) charged over Ana Kriegel murder released on bail supervision programme”. Feedback on “Boy (13) charged over Ana Kriegel murder released on bail supervision programme”.